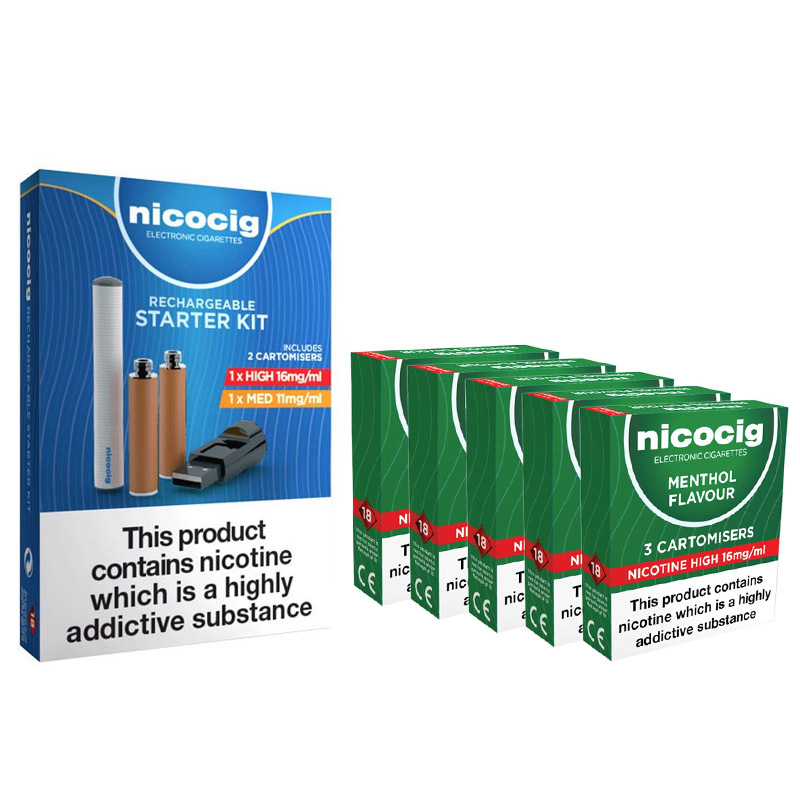 The Nicocig Rechargeable Electronic Cigarette Starter Kit provides everything you need to get started with vaping and makes a more cost-effective alternative to smoking. 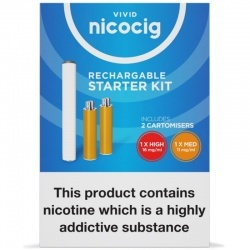 The Nicocig Rechargeable Electronic Cigarette Starter Kit with Nicocig Refill Cartridges is a product package, consisting of five packs of extra refill cartridges as well the starter kit itself. There are three cartomisers per pack, meaning you will receive a total of fifteen additional cartridges. 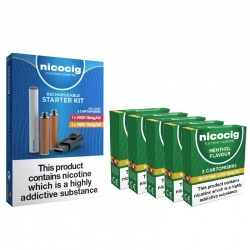 This combo pack therefore makes life a little easier for your future self, meaning you'll have plenty of spare refills to hand for whenever the original cartomisers run out. This allows for more continuous, stress-free vaping for the prepared among you who don't want their juice to run dry. This particular refill pack falls under the high strength category of 16mg and is cooling menthol flavoured.